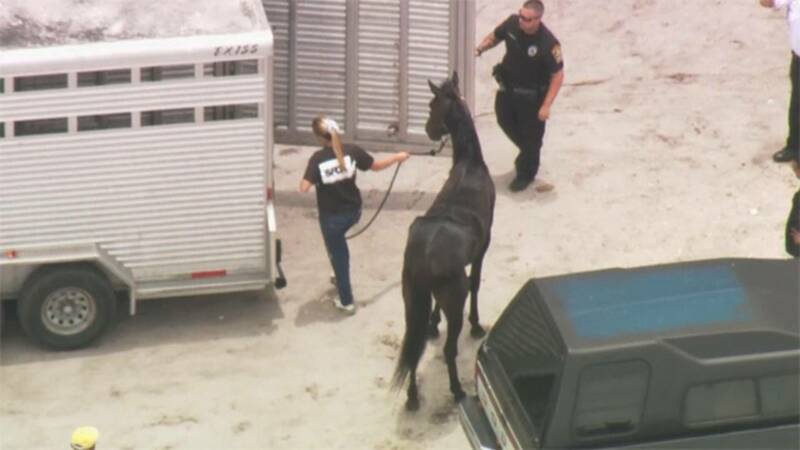 MIAMI GARDENS, Fla. - Police seized more horses from a ranch in Miami Gardens where they had earlier found two trapped inside their stalls without food or water. The South Florida Society for the Prevention of Cruelty to Animals planned to take the horses found at 5400 NW 159th Street to its ranch. Police found at least two more horses there Wednesday. One of the horses found over the weekend, a 4-year-old mare, suffered from colic after she was rescued. Officials reported that the two horses rescued Sunday were eating wood and their own manure.